Our group gathered at the nature center for our Saturday morning walk at Van Cortlandt Park. I on the other hand was scouting the restoration meadows close by; I was looking for spring arrivals for our group and had in mind that it was a good day for an Eastern Phoebe (Sayornis phoebe). I heard the bird first then spotted an Eastern Phoebe (Sayornis phoebe), on the steps behind the Van Cortlandt Museum. I called one of our regulars, Frank Donovan, and had him bring the group over to where I was. However, by the time they arrived, the Phoebe had moved; though its occasional calls betrayed its presence in the area. With a little work, I was able to get a few people on the bird, but the looks were not great as it kept moving around. 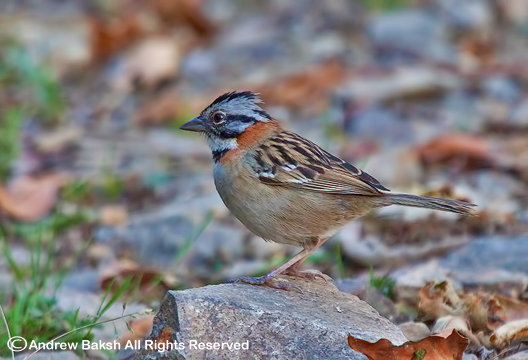 During our wait for the Phoebe to show itself well, we picked up a few passerines. None, though were new spring arrivals. Our walk around the lake was not a bird filled one and we had to work hard to pad our day list with the species that were around. Nevertheless, we had a good time and it was fun getting lifers for new people out on the walk for the first time. A hike into the North Forest did not pay dividends with American Woodcock or Wilson's Snipe as I had hoped for, but we did get great looks at Turkey Vulture (Cathartes aura), Hairy Woodpecker (Picoides villosus), Northern Flicker (Colaptes auratus) and Carolina Wren (Thryothorus ludovicianus). The latter put on quite the show for us on our way back to the nature center. We ended our walk doing a little archery practice with the Urban Park Rangers. It was a tough day of birding, with nothing much around. Hopefully within the coming weeks we will begin to pick up more migrants as they move in to the area. Here is a list of birds seen. 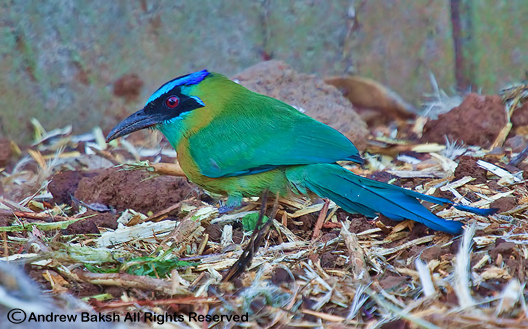 Another cool looking bird from Costa Rica. Sanderlings playing catch me if you can. 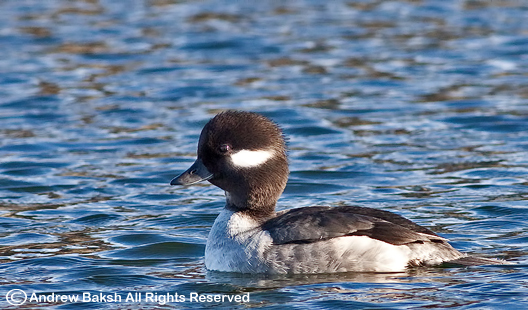 The female Bufflehead Duck has such a gentle expression. I just had to share this photo with readers. 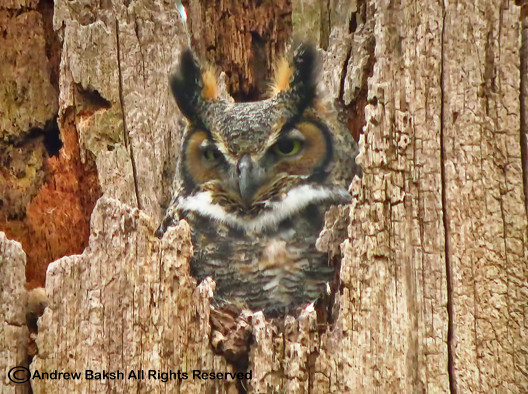 Digiscoped shot of a Great Horned Owl. Guess who is back? The hottest chick in Breezy Point that is, known by her nickname, "Bandit". Bandit nicknamed by a couple of Piping Plover volunteers at Breezy Point Queens New York, is identified by the black flag up left, yellow band over dark blue low left and white band on the lower right leg. Yesterday, was my third encounter with Bandit and the second time I was able to photograph (just barely before the fog rolled in) her at Breezy Point. Regular readers may remember that she successfully nested at Breezy Point and had chicks, which I documented last year (see post here). 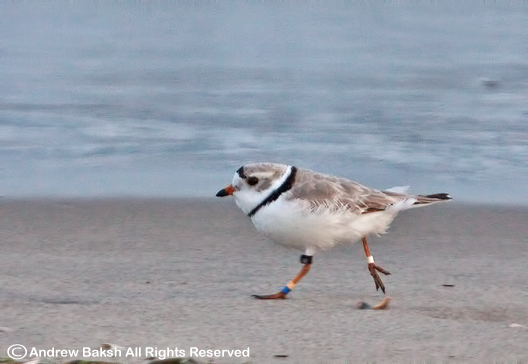 Dr. Cheri L. Gravatto-Trevor, who is involved in the research on these banded Piping Plovers emailed me this morning with the following: "Since Bandit left New York last year, she was reported on July 14th 2011 at Cape Lookout, NC, then seen back in The Bahamas last winter, then she was again seen on March 11th 2012 at Topsail Is., NC". If yesterday's sighting holds true to form, I would bet that Bandit is finally back to her breeding grounds and maybe we will see her with chicks again. The Borough of Queens, just happen to be the perfect location...fit for a Queen don't you think? 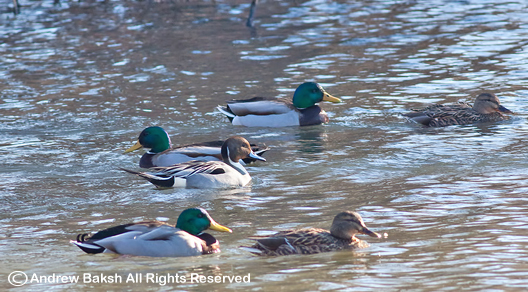 On 3-3-2012, our bird walk group gathered at the Van Cortlandt Park Nature Center for our Saturday morning bird walk. We had several new comers, who were from out of town hoping for some new birds. We scanned the Parade Ground for birds, but did not see much other than a couple of Killdeers on the field, which we observed and studied for a bit before heading towards the Van Cortlandt Lake. Near the beginning of the lake we picked up Downy Woodpecker, White-breasted Nuthatch, Northern Cardinal and Tufted Titmouse. On the lake we had good looks at Mallards, Black Ducks, Hooded Merganser and Ruddy Ducks. It was a gray, drizzly kind of day, but we plodded on working the shore picking off a bird here or there. At the bridge near the golf course we picked up a couple of birds of which, Rusty Blackbirds (Euphagus carolinus) put in a pleasing appearance making many of us happy especially for those who counted them as life birds (birds seen for the first time). We abandoned any ideas of the North Woods due to the rain and by then many had begun to take in water and so abandoned the walk. 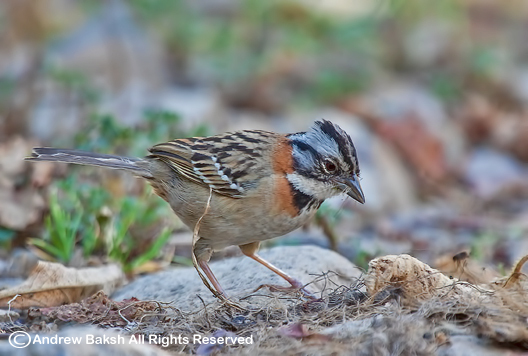 Alex Pirko and I continued to bird and picked up what was probably the three best birds of the day in Winter Wren (Troglodytes hiemalis), Swamp Sparrow (Melospiza georgiana) and Eastern Towhee (Pipilo erythrophthalmus), but only after we worked over an area after hearing them. Despite a wet and dreary day, we were quite pleased with the birds we saw. 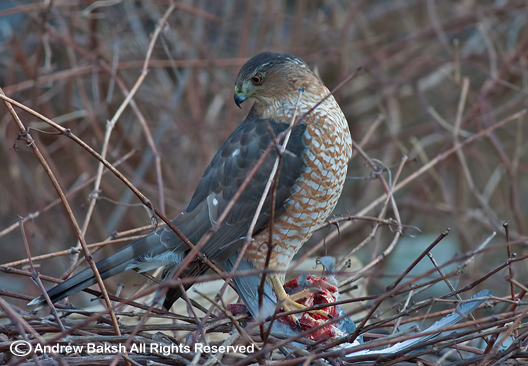 Cooper's Hawk snacking on an unlucky Pigeon in the backyard. 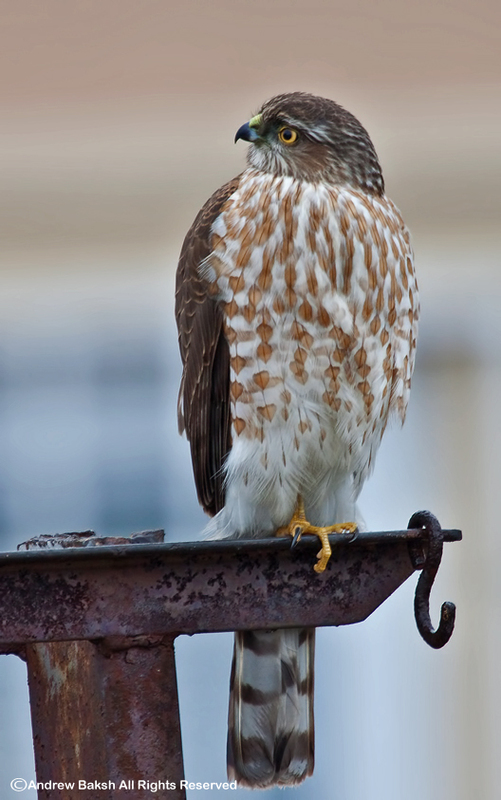 Sharp-shinned Hawk that has been hunting House Sparrows in the backyard. 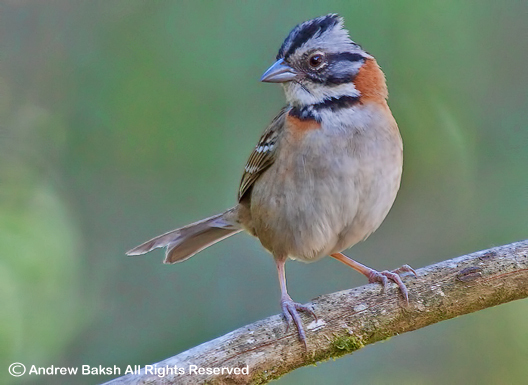 How would you like to find a rare bird at your backyard feeders? 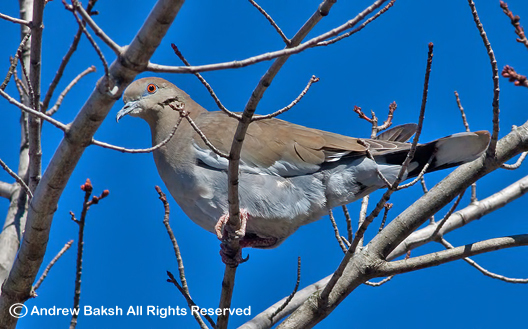 I know I would and that is exactly what happened when Anthony Ciancimino a 14 year old junior high school birder discovered a White-winged Dove (Zenaida asiatica) while scanning a flock of Mourning Doves roosting in a tree near his feeders. Let's back up a second here to focus on what should not be missed. "Scanning a flock of Mourning Doves"! Right there you know that Anthony is not your casual birder, one who did not casually chalk up the MODOS as well...MODOS. What makes the White-winged Dove (Zenaida asiatica) rare for our area you ask? Well, its mostly a tropical dove, that can be found in Texas and the Southwest. However, it is increasing its range northward and an introduced population has become established in Florida. From my observation, this looks very much like a wild and not a caged bird - strong flight with no visible "cage wear" and no bands on the legs. 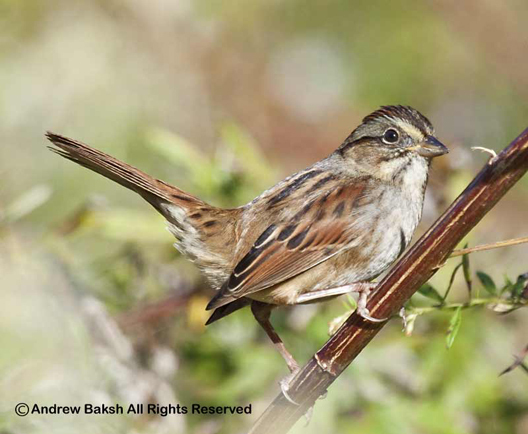 I would be very surprised if this candidate is not accepted by NYSARC (New York State Avian Record Committee) as a Staten Island first record for this species. 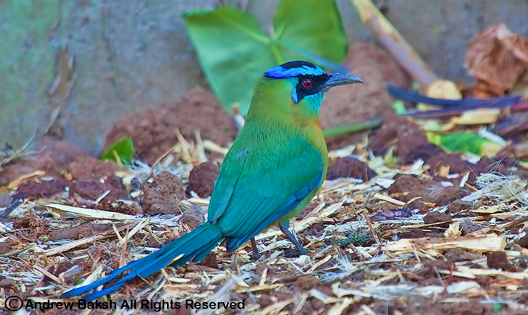 Note the white line along front of wing on the perched bird. I first met Anthony last year while birding Cloves Lake Park on Staten Island. He was attending a bird walk led by my friend Howie Fischer and stood out from the birders in attendance as he called out birds as fast as the leader. Howie had spoken highly of him and it was evident why. Equally impressive was the presence of Anthony's mother who was in attendance, showing her support for her son's passion. And it is a passion because Anthony is pretty much in the field with every spare time he gets. Are you getting the picture already on how serious this kid takes his birding? I met Anthony for the second time as I finally made it over to his house with his permission to see the White-Winged Dove (Zenaida asiatica). I enjoyed speaking with him about birds and the plants he was tending in his yard. I hope the bird sticks around and many more get to see it. 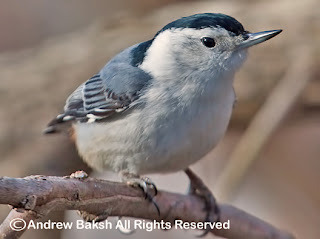 If you are interested in seeing the bird, check out the Staten Island List Serve for information on recent sightings and to contact Anthony. 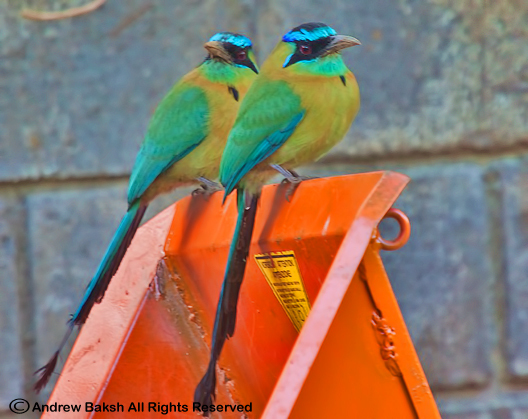 It seems proper birding etiquette not to show up unannounced. Oh and given the recent sighting of another rarity, in Gray-crowned Rosy Finch at another backyard feeder, you may want to consider putting out some feeders too... you never know what bird may show up in your backyard. On Saturday, our bird walk group gathered at the Van Cortlandt Park Nature Center for our morning bird walk. 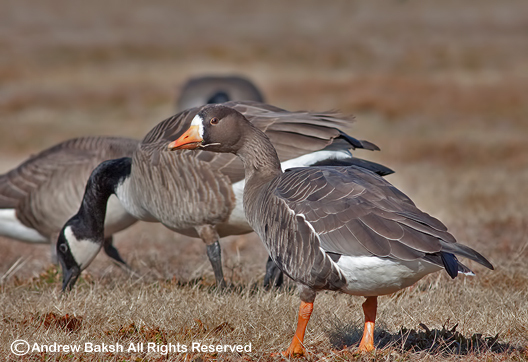 We had several new comers, who were immediately given obliging looks at the star of Van Cortlandt Park, the continuing Greater White-fronted Goose. We also had a couple of Killdeers on the field, which we observed and studied for a bit before heading towards the Van Cortlandt Lake. Near the beginning of the lake we quickly picked up Brown Creeper, Downy Woodpecker, White-breasted Nuthatch, Northern Cardinal and Tufted Titmouse. On the lake we had good looks at Mallards, Black Ducks, Hooded Merganser and Ruddy Ducks. Near the shore, an immature Red-tailed Hawk was spotted with its back to us; identified from a distance by size and the white "V" in the scapulars. The bird was extremely cooperative and we had very good looks as we got closer. At the bridge we had a very nice surprise in a handsome drake Northern Pintail Duck, which was the tenth species of Ducks seen at Van Cortlandt Park this year. John Young, a long time birder of Van Cortlandt Park remarked that it had been ten years since he had seen a Northern Pintail at Van Cortlandt. Everyone got great looks. Looking at my records, this was my first Pintail at Van Cortlandt Park, making it the 49th species seen this year and the 125th species seen at Van Cortlandt since I began leading this walk. After studying the Pintail, we then headed to the bridge by the Golf Course where we enjoyed looks at Red-bellied Woodpecker, Black-capped Chickadees and a few others. We were disappointed at not seeing any Rusty Blackbirds this time around, but since we were on a time constraint we were not able to linger and work the areas as I would have liked. Our walk ended earlier than usual due to a Birdathon meeting that many of us needed to attend. Below is a list of the species seen.